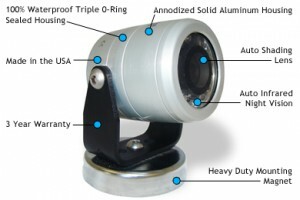 We are the LEADERS in industrial camera technology. The AgCam rear view camera system is the most durable, reliable and easy to install camera available on the market today and is available through our nationwide dealer network as well as through multiple Original Equipment Manufacturers, including AGCO, Kinze and Trimble. Be sure to check us out on YouTube, we have lots of great new videos.